You know how important it is to eat plenty of fruits and veggies, but let’s face it; It’s not always convenient to get as much as we need each day. 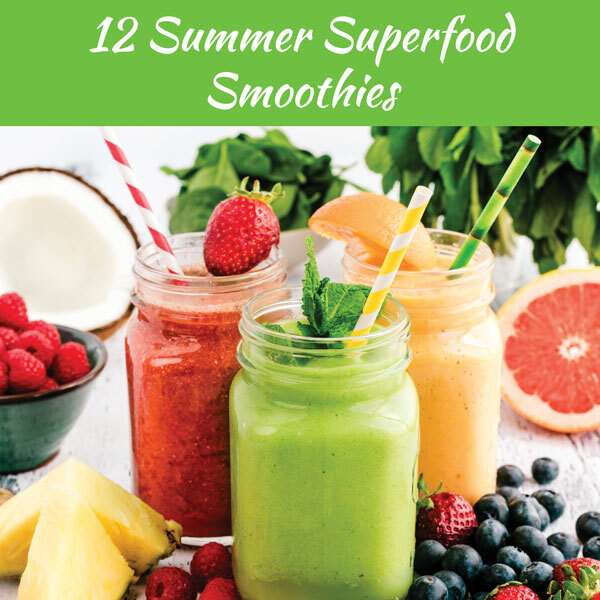 Smoothies can be a quick, and tasty way to increase your intake of superfoods and phytonutrients. Unlike juices, smoothies contain fibre which makes them lower GI and better for your blood sugar control. Adding a daily smoothie is an easy way to boost your health, increase your energy, improve digestion, have glowing skin, reduce your risk for diabetes, cardiovascular disease and cancer.